This year marks the 30th anniversary of the AHCI, the Swiss-based association of the world’s best independent watchmakers. 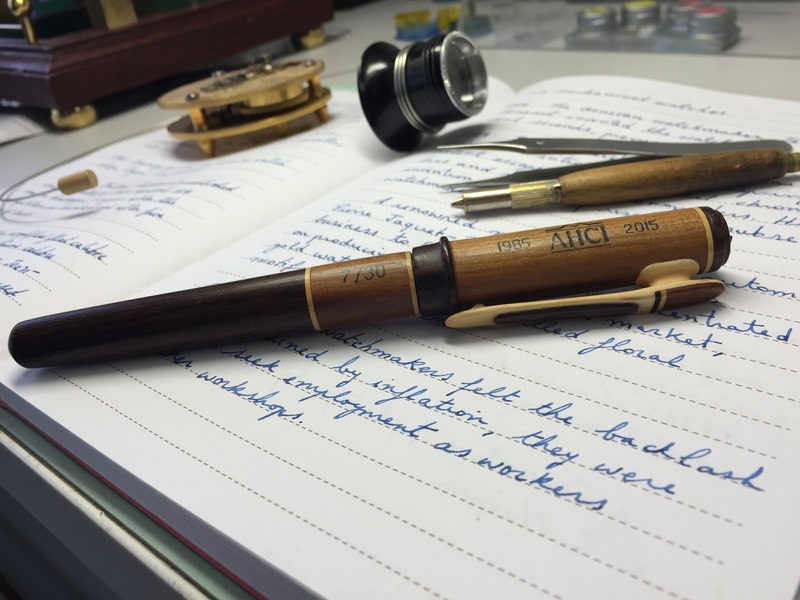 To commemorate that milestone and raise funds to preserve its archives, the AHCI is offering a limited edition of pens hand-made from exotic woods. In 1985 Vincent Calabrese and Svend Andersen founded the Académie Horlogère des Créateurs Indépendants (AHCI), or the “Academy of Independent Watchmakers”. To mark its 30th anniversary the AHCI has commissioned Valerii Danevych to create a writing instrument made of exotic wood. Only 30 will be made and proceeds from their sale will go to funding the preservation of the AHCI archives, a treasure trove of documents about independent watchmaking from the eighties till today. And once they are digitised, the archives will then be made available online at no cost. 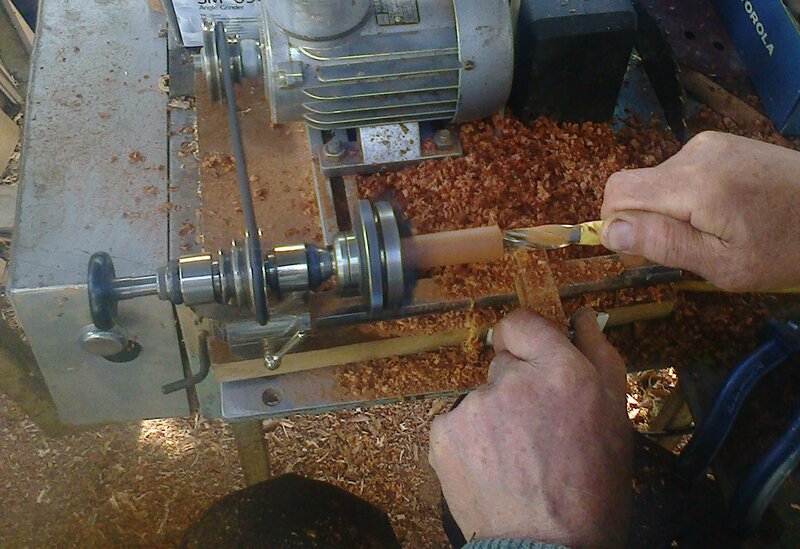 Danevych, a Ukrainian AHCI member who specialises in timepieces made entirely of wood, movement and all, took nearly 24 hours to craft the 30 ballpoint pens. He turned each of them by hand from ebony, rosewood and apricot tree wood, then engraved each one with the AHCI logo and serial number running from 1/30 to 30/30. In its 30 years the AHCI has grown to 33 members and six candidates-in-waiting from across the world. Some famous names have come and gone, George Daniels passed away while Franck Muller left, but the academy remains the sole non-profit dedicated to independent watchmaking. 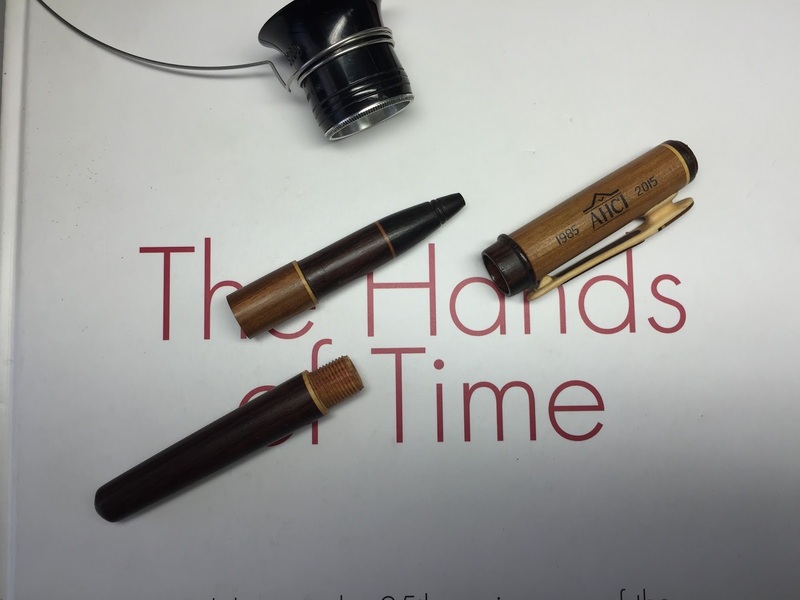 The funds raised from the sale of the 30 pens will pay for the preservation of the AHCI archives at the Musée International d’Horlogerie at Le Chaux-de-Fonds. These documents will be digitised and then uploaded online, and most importantly, they will be accessible to the public for free. 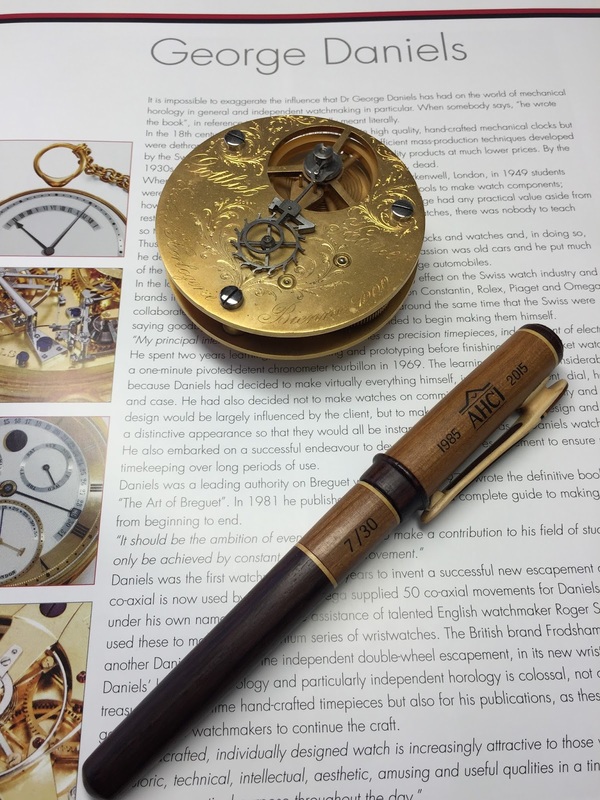 The pen costs 499 Swiss francs, while the pen plus a signed copy of The Hands of Time, a coffee table book about the AHCI, is 599 Swiss francs. They can be ordered direct from the AHCI via email.